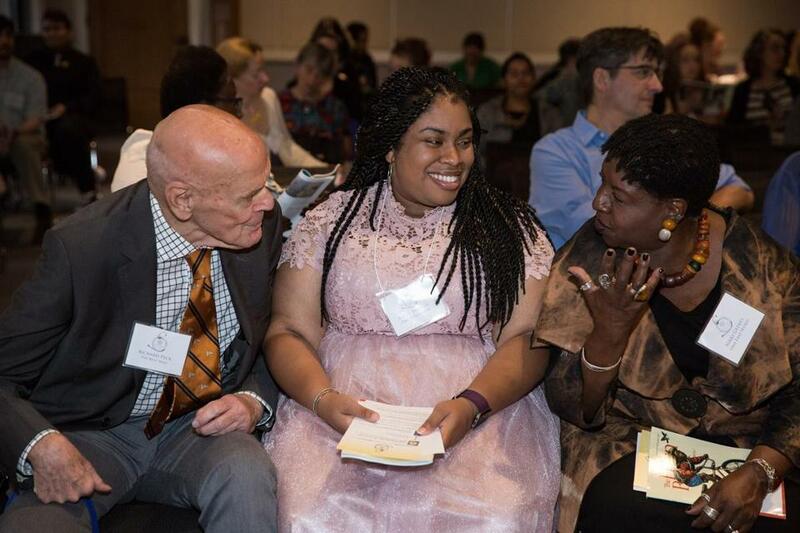 Angie Thomas (center) with Richard Peck and Nikki Grimes at the Boston Globe Horn Book Awards in October. The Twitterverse lit up in fury Thursday after the Mississippi-based writer Angie Thomas said online that her popular young-adult novel, “The Hate U Give,” had been banned by a Texas school district. The book, which was published in February, won a 2017 Boston Globe Horn Book Award, was longlisted for the National Book Award, and is being made into a Fox 2000 movie. Representatives from the Katy Independent School District said Monday that the book has been pulled from school library shelves, but it has not been officially banned. A review process is currently underway regarding the book’s status after a parent complained of “pervasive’’ inappropriate language in the book. Thomas’s book, which was inspired in part by the Black Lives Matter movement, tells the story of a black high school student who witnesses her unarmed friend being shot and killed by a police officer during a routine traffic stop. The title is commonly abbreviated as “THUG” and is a nod to the late rapper Tupac Shakur’s personal philosophy, which he referred to as THUG LIFE. The book is in its 39th week on The New York Times young-adult bestseller list. Thomas took to social media after spotting a Nov. 17 tweet by a former resident of Katy. That original tweet garnered nearly 200 retweets in about 10 days and significant outrage from students, educators, and librarians from the town and elsewhere. Thomas tweeted that she was “saddened to hear” of the restriction, stating that “you’re basically telling the kids of the Garden Heights of the world that their stories shouldn’t be told.” Garden Heights is the name of the majority black, impoverished neighborhood in the book. Thomas declined a request for further comment. The Katy schools representative said that it is common procedure at the district, which is made up of 40 elementary schools, 15 junior high schools, and 10 high schools, for a book to be pulled before the review process was complete. She also noted that it was unclear when a final decision would be made. A prior version of this story did not include comment from Katy schools representatives because they had not responded to repeated requests for comment by the time of the article’s initial publication.